The BW Makins Wednesday ‘Affordable Open’ on Lake 2 produced sensational weights, with each of the top three putting in excess of 200 lb each on the scales. 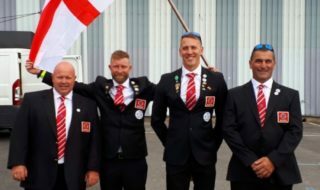 Although many anglers expected to catch ‘up in the water’ in the hot weather, it was those that fished the feeder who dominated the match, taking the top four places. 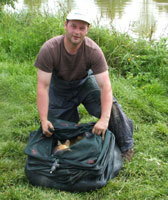 Top weight for the second week running was Anthony King (Long Bennington Baits). Anthony drew B13 and fished method feeder to the island to catch good carp throughout the match to put a sensational 266 lb 12 oz on the scales. This was only just enough to edge out Dynamite Mayfair backed Charlie Shaw who caught 48 carp on pellet feeder for 263 lb 4 oz for second place from peg A8. Third place fell to Long Eaton Victoria AS’s John Adamson with 247 lb 5 oz of good carp on the method feeder from peg B17. 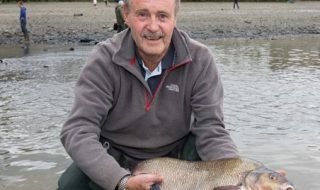 In spite of losing several good fish which took his line around a post, Bruce Robinson took fourth place with 188 lb 12 oz from peg A20, again on pellet feeder. 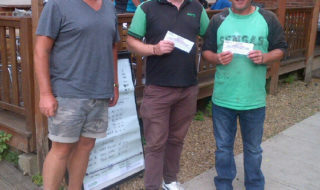 Left: Winner Anthony King with part of his 266 lb 12 oz catch.